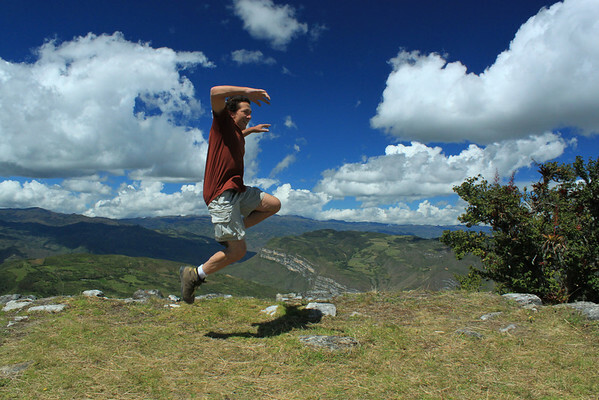 Arriving in Chachapoyas we checked into Hostel Revash and quickly booked a three day package of tours beginning the following morning. 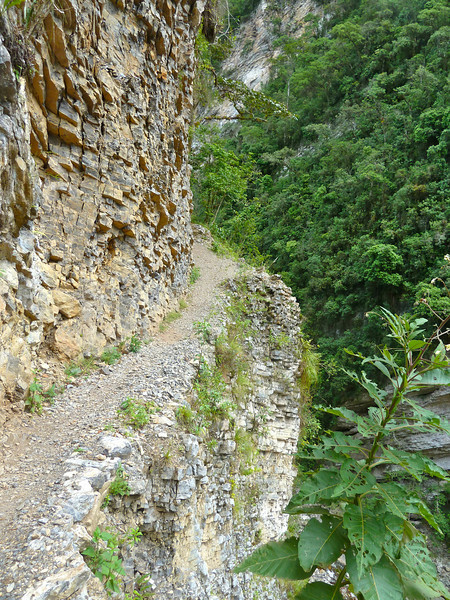 Chachapoyas is a quiet colonial town. 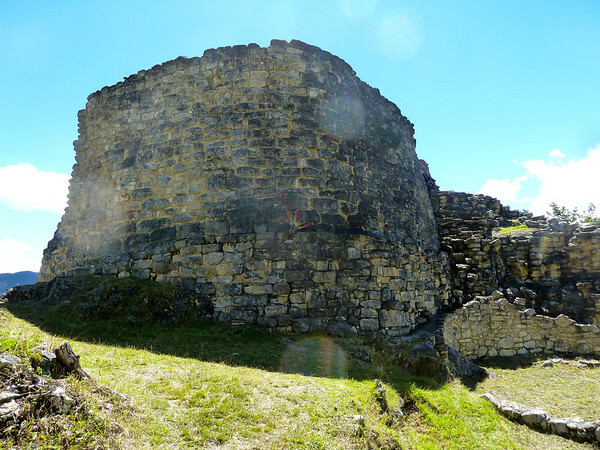 However, the area was the center of a sophisticated civilization that predates the Incas by 1,000 years! 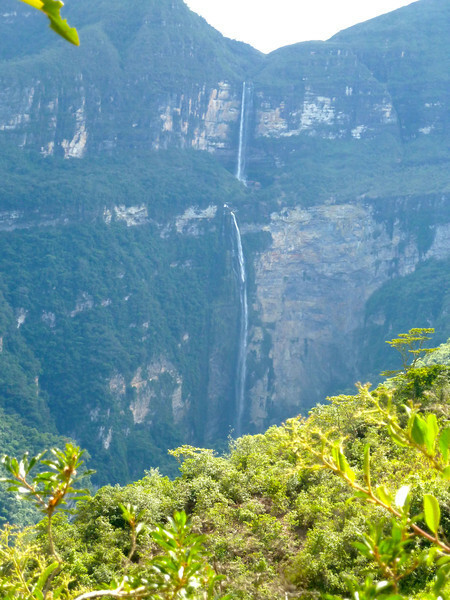 Within a few hours drive of the town are extensive ruins and one of the tallest waterfalls on earth. 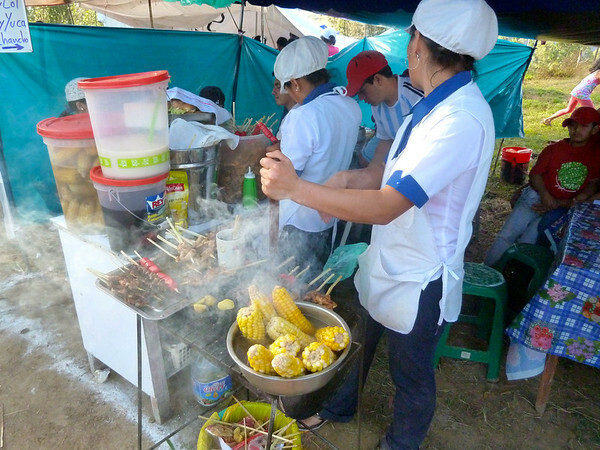 Although normally a sleepy town, Chachapoyas was celebrating its annual “Tourist Week Festival” (yes that really is its name) when we arrived. 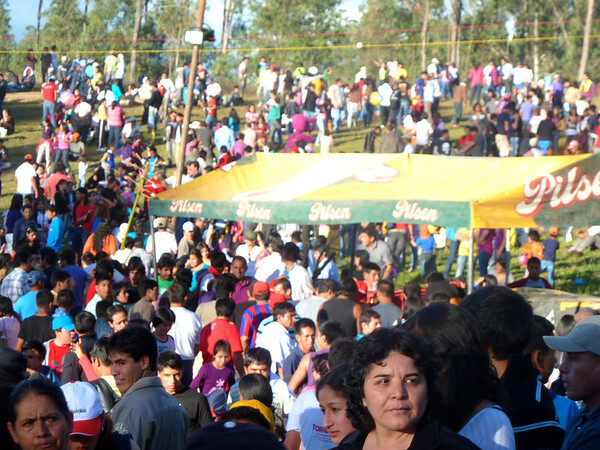 We dropped our packs and went to a large field where the celebration was in full force. Despite its name, the town has relatively few visitors. 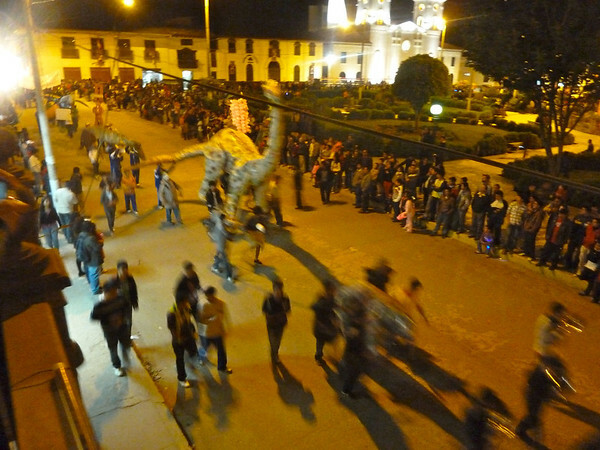 It was mainly the locals who partied all night with marching bands playing outside our window until after midnight. Each morning at 5:30 a.m., the mafching band would start up again. On our first morning we took off for a two hour bus ride to Gocta Cataracts Waterfall. Along the way we stopped and climbed up a clff to view some petroglyphs. Some of the images were identical to those I have seem in Chaco Canyon. An amazing coincidence? Also, there were pictographs of what looked like dinosaurs. These images are approximately 900 years old. Our guide speculated the possibility that dinosaurs could have entetred this remote canyon and some survived until human times. I found this rather farfetched (Jurrasic Period was approximately 65 million years ago); however, the whole dinosaur thing is very popular with the local culture. The locals say Gocta is the third highest waterfall in the world. I just googled and at 2,532 feet it is the fifth. Turns out Yosemite falls which I have climbed several times is number 7 not 2 as I had erroneously bragged to our guide. (The difference is only about 40 meters.) It was a physically challenging 2.5 hour up and down trek to the base through absolutely stunning Andean Mountain scenery. Two hours into the equally challenging hike back, it began to rain hard. The dirt trail turned to slippery mud and only my trekking poles prevented me from sliding down the path. As I focused my energy into getting back and dry that old cliche kept playing in my head, “That which doesn’t kill us makes us stronger.” After a late lunch and ride back we checked out the fiesta for a bit and turned in early. Day two we were on the road shortly after 8:00. 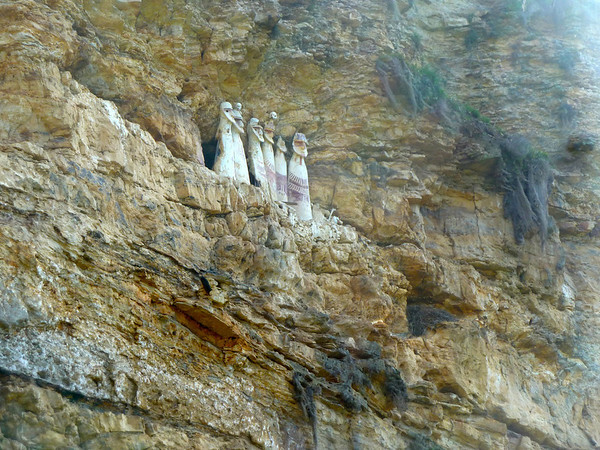 Our first stop was Quiocta an extensive cavern system used by the Chachapoyans for funerary and ceremonial rites. We don’t actually know what these people called themselves, but they flourished from about 500 to 1500 A.D. 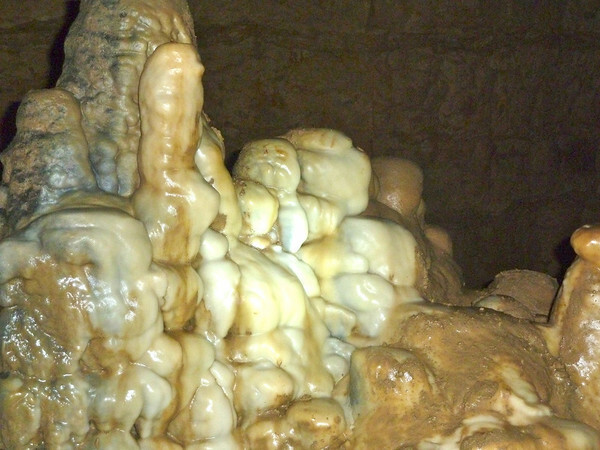 The caverns are large and can be walked through upright. Next, another long ride to Karajia. It is a spectacular funerary site. 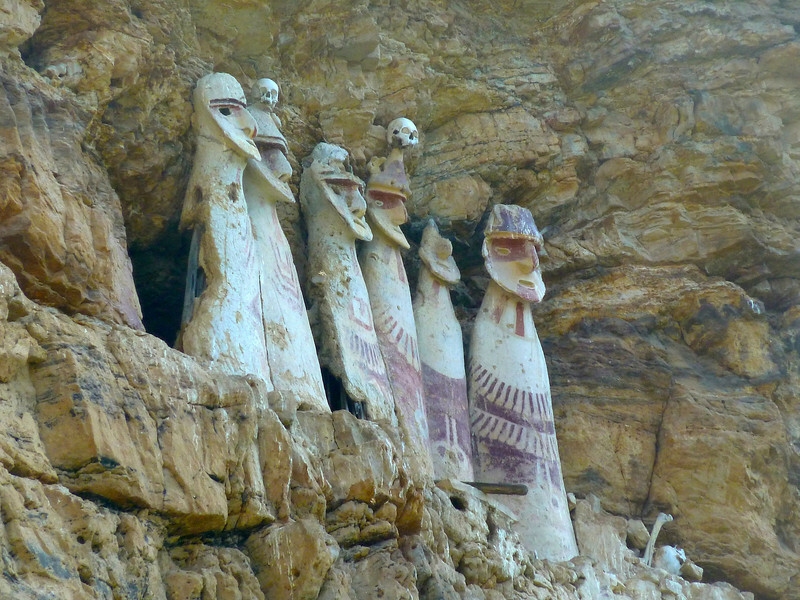 Located here high up a sheer rock wall are three meter anthropomorphic wooden coffins located under a cliff. 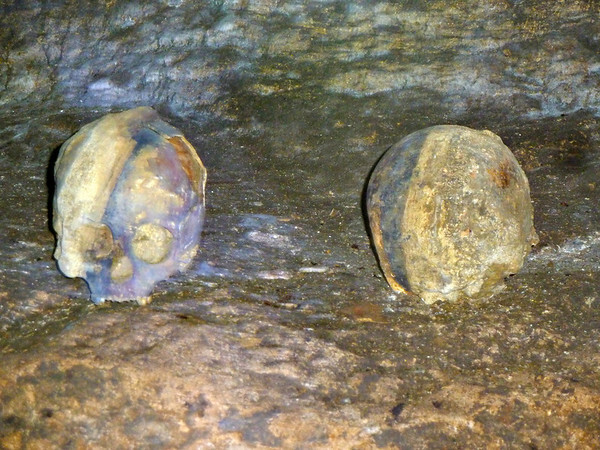 Mummies were placed inside each coffin. Two coffins, apparently warrior generals are honored with skulls atop their sarcophagi. It is not easy to get to the area and requires a long steep walk. 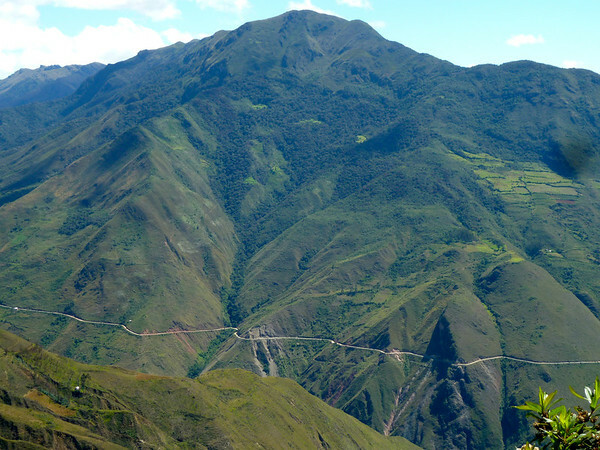 Finally, we drove to the Belen Valley, also referred to as the Chachapoyan Sacred Valley for a late stroll along the river before another two hour ride home through high mountain passes. Day three and we are very excited to be going to Kuelap today. 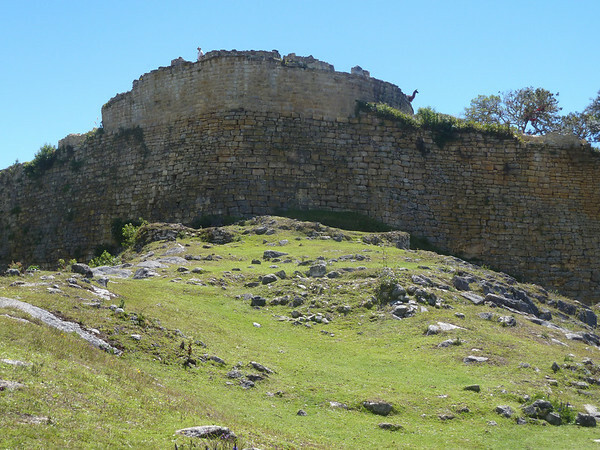 Kuelap is an extensive mountaintop fortress that rivals Machu Pichu in its magnificence. 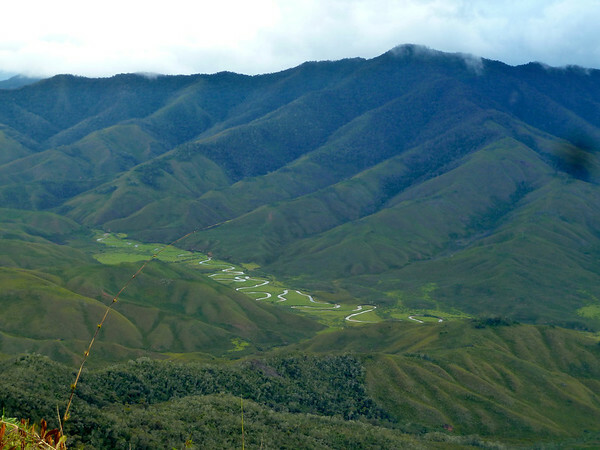 It’s jungle covered ruins were rediscovered in 1843, before Machu Pichu. 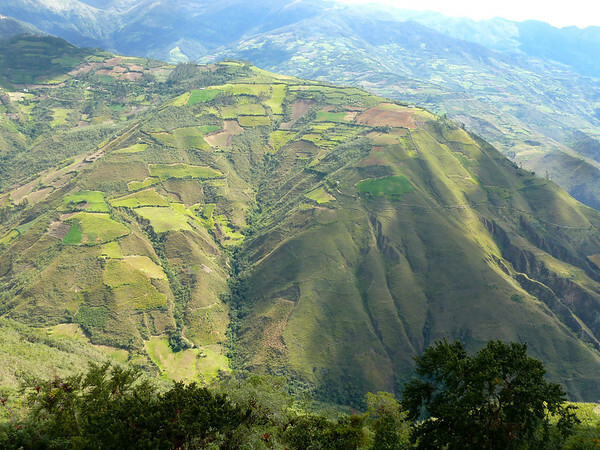 The Chachapoyans resisted the Incas there in the late 1400s. They resisted the Spanish conquest as well until the Spaniards finally cut off their water supply and drove them out. 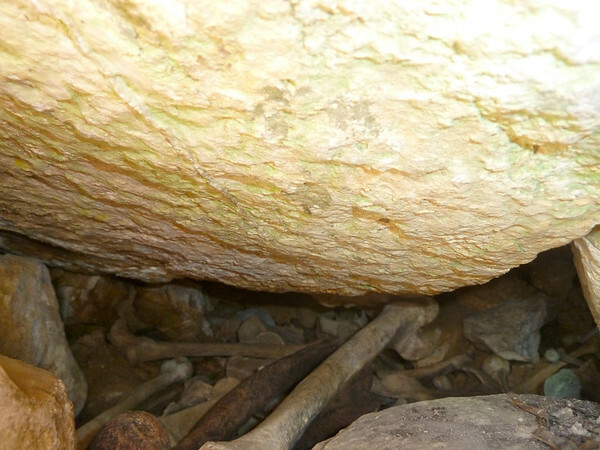 Although plundered by grave robbers, the site has unearths bodies, religious objects and evidence of human sacrifice. 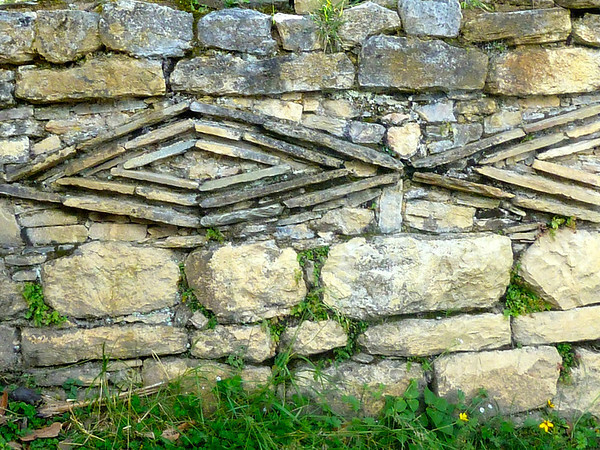 The Chachapoyans had a complex society. Many of these sites have only been discovered within the last 20 years and we are learning more about these people every year. We arrived back in town just in time to pick up our pre-ordered dinner-to-go and make it to the bus station. We are traveling all night to Trujillo, Peru on the Pacific Coast. The good news is this is a deluxe Peruvian bus line and we have couch beds in which to sleep. Your travels just get better and better! Love the ruins, history, and beauty surrounding you. Looks like you continue to have a blast! Thanks Judie. 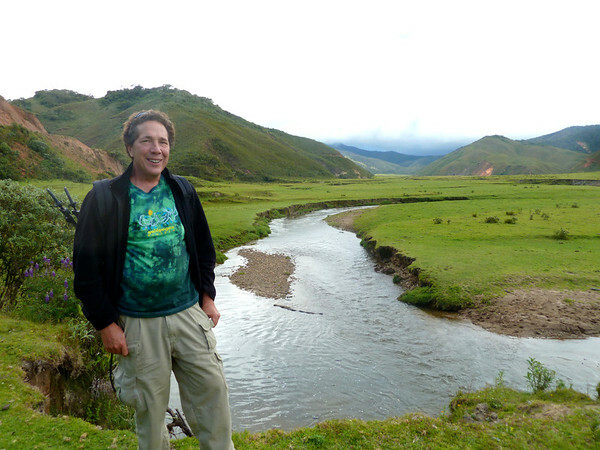 Really enjoying all things Peru.